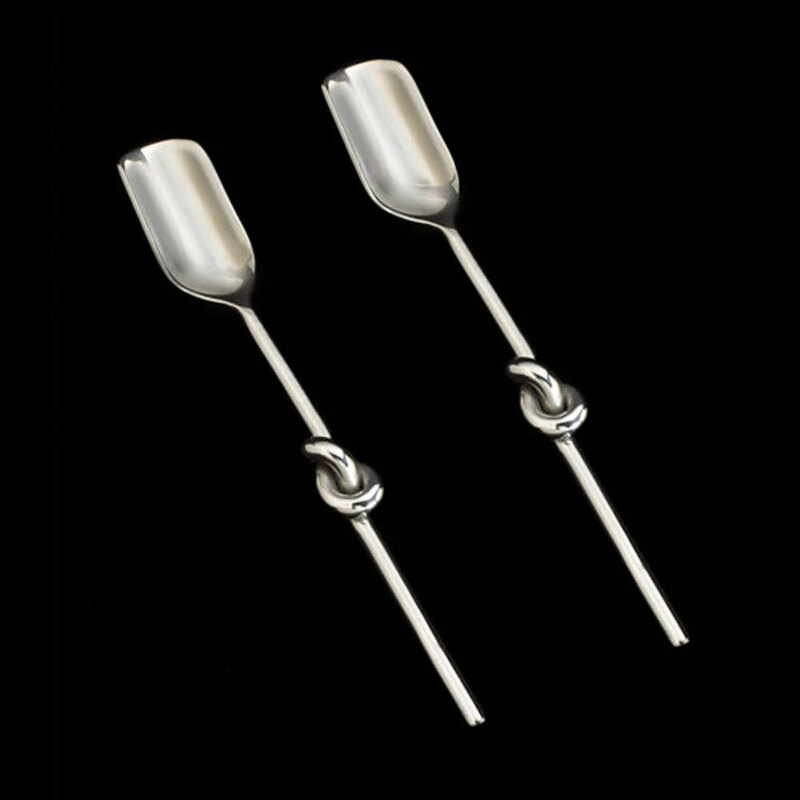 The Knotty & Nice Collection includes a variety of mix-and-match flatware, serving pieces & accessories with a twist! Each knot is an elegant expression of friendship, love or strong bond of any kind! The Knotty "Shpoon" (shovel-spoon) has a shiny knotted handle, fun for scooping a handful of candy, nuts or dips. A beautiful addition to Infinity Bowl or combined with Knotty Fork, Knotty Spoon, Knotty Knife, or Knotty New Spoon for a beautiful Happy Hour Hostess set. Also Available: Silver Heart, Red Heart, Black Peace, Silver Peace, Smiley. Handcrafted of food-safe polished aluminum. Size: 6.5"